Meghan Emerson is a Licensed Marriage and Family Therapist (LMFT) with a passion for helping clients create and maintain meaningful, healthy relationships. She earned her Bachelor’s degree in Psychology and Master’s degree in Marriage and Family Therapy from Northwestern University. In her clinical practice, Meghan helps individuals and couples develop new strategies to adapt to life transitions, improve their relationships, and foster more fulfilling and balanced lives. Her clinical interests include aiding couples struggling with communication/intimacy, divorce/separation, infertility, the transition to marriage and parenthood, and those adapting to new life circumstances as a result of medical illness or career changes. With individuals, Meghan specializes in anxiety management, grief/loss, life transitions (particularly the transition to adulthood and parenthood), and aiding the emotional health of other professionals. 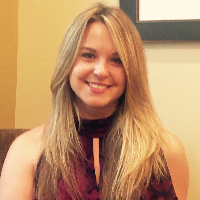 Utilizing a direct and compassionate therapeutic approach, Meghan fosters a respectful collaborative relationship that respects each client’s specific goals for therapy. She promotes ongoing insight about psychological and relational issues to help clients deepen their understanding of themselves and become more attuned to their relationship needs. By targeting clients’ inherent strengths to help lift the constraints that keep clients feeling stuck, Meghan takes an active, solution-focused approach to help clients achieve lasting, meaningful change. Would you like to write a review for Meghan Emerson? We'd appreciate if you can spend a couple of minutes to write a short review for Meghan Emerson (MS, LMFT). This review would be shared with Meghan Emerson. It may also be posted in our website or in Meghan Emerson's profile but it would be anonymous and your identity would be kept completely confidential.